Can I Hadoop My Way Out of This? 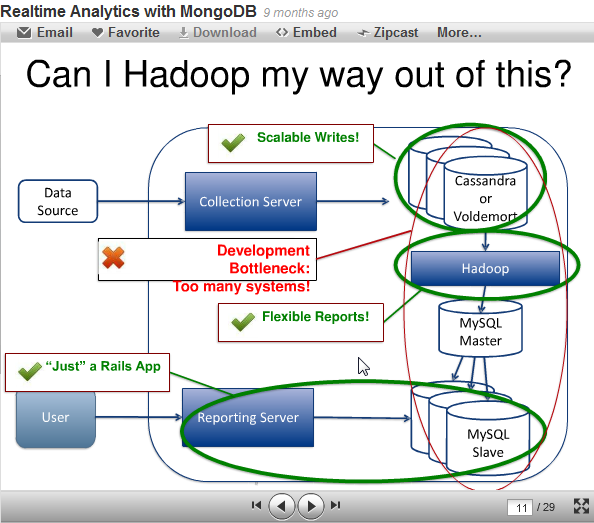 It’s from a slidedeck on real-time analytics and MongoDB. I guess one cannot simply Hadoop their way out of that type of mess.